by local groups and organisations. The building comprises a large hall with stage, a smaller supper room and kitchen. 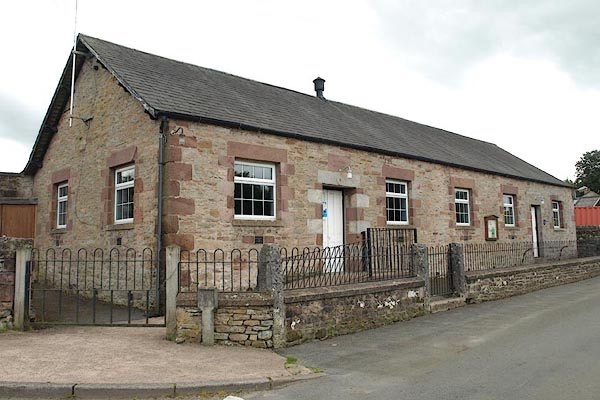 The hall can accommodate up to 120 people and is available for hire to individuals and groups at reasonable rates. Concessions for regular users. Free Wi-Fi access. The calendar below shows all current bookings for the Village Hall. Choose between weekly and monthly views by selecting the appropriate tab. NB A booking shown in the box at the top of a date indicates that the Hall is booked for the whole day. a) A deposit may be payable. b) An extra charge may be made for breakages, or for cleaning if the hall has not been left clean and tidy. c) All users should refer to the “General Conditions of Hire” and “Hirers’ Public Liability Cover” that may be found on this web page. d) Further information on the hall’s facilities and procedures may be found in a document: “Information for Hirers”, which can be found on this web page.